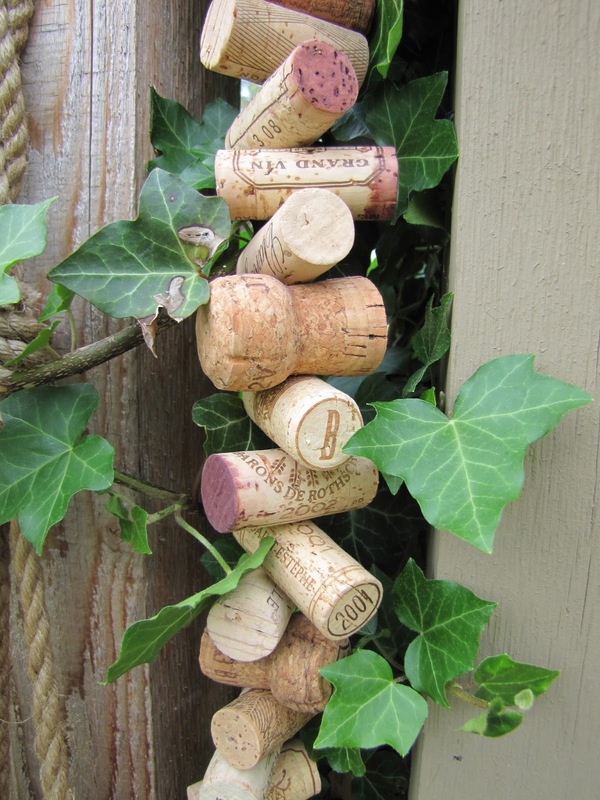 OK, please tell me I am not the only one in the possession of 10,000 wine corks, no longer attached to their bottles. It's not just me, right? 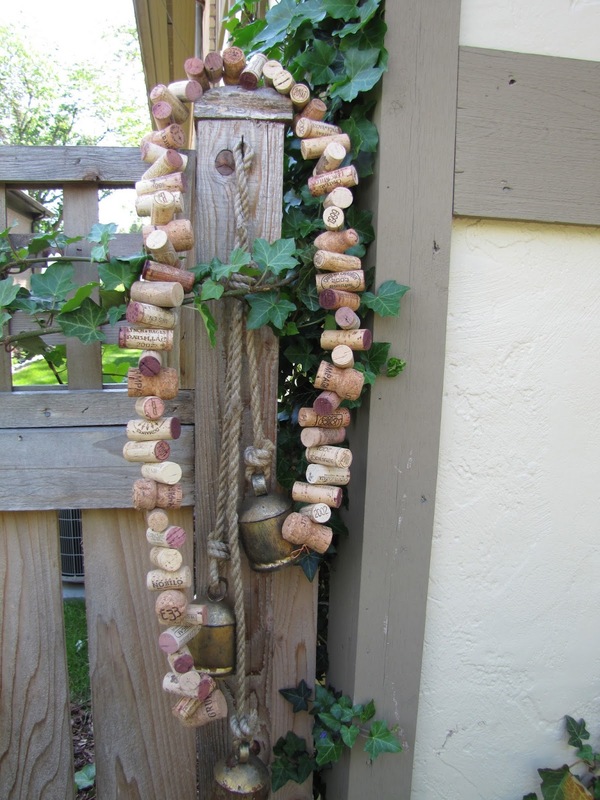 Honestly, I have corks everywhere. (We may or may not have a "Happy Hour" problem). They are in bowls, containers, urns, boxes, hidden stashes in the many nooks and crannies of The Factory. I just can't seem to throw them away. 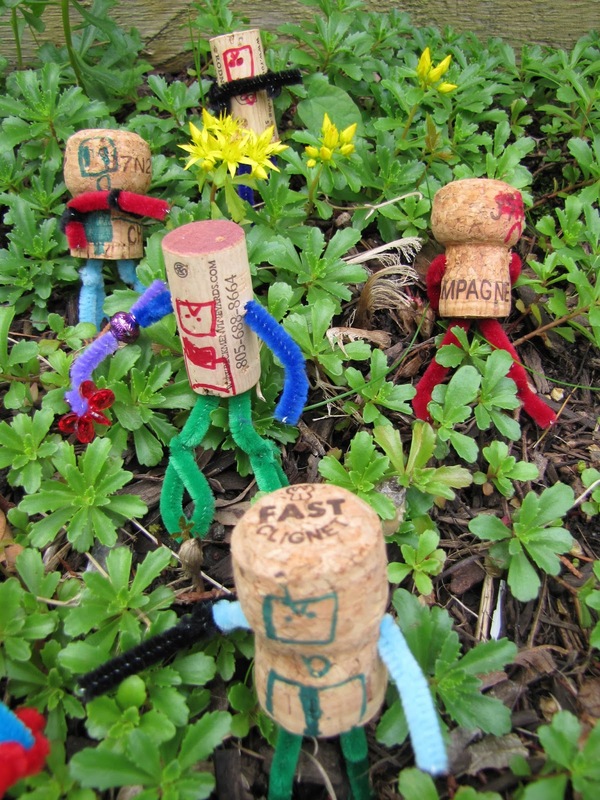 They are such cute little things, and they are so important, you know, to the wine! So I make things out of them, lots of things. 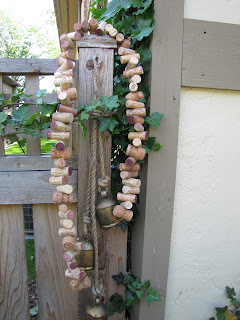 But one of my favorite things to do with them is to drill a tiny hole in them and string them on a wire, like beads. Even my son likes to make things out of corks. 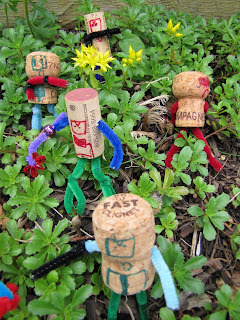 Here we have part of a robot army that he made with corks and pipe cleaners! 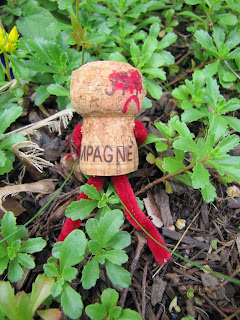 This poor guy is obviously upset that he is no longer in a champagne bottle! 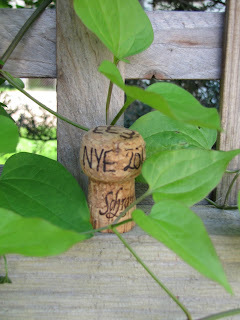 I also like to label some of them with their "occasion". This one is from New Years Eve 2012! I have lots of labeled corks that I made into ornaments for the tree. 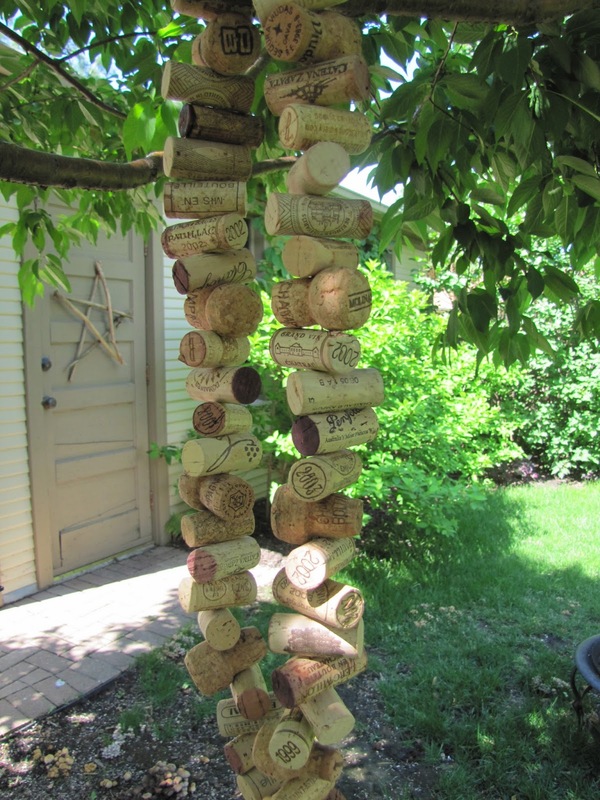 Have you made anything with your leftover wine corks?